Weeknights weren’t made for slow braises and roasts; they’re often too harried and hectic for anything other than what’s quick and easy. After a long day, you’re likely to turn to a simple pasta or a hearty salad — even a sandwich qualifies as dinner when you’re exhausted. But in the chilly days ahead, you may find yourself craving the comfort of a lazy slow cooked meal — the kind that’s reserved for weekends — in the middle of the week. More: You don’t need a recipe to make an outstanding weeknight meal. Enter the slow cooker — the saving grace of weeknight dinners. Throw all of your ingredients into a pot in the morning, and dinner will be waiting for you when you get home. You’ll soon wonder how your kitchen ever survived without this essential kitchen tool. 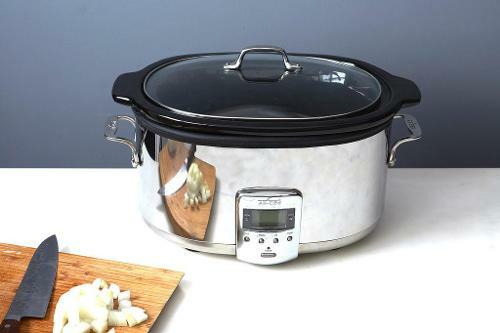 *The slow cooker should be about 1/2 to 2/3 full of ingredients, otherwise the food won’t cook properly. Be mindful when halving a recipe or using a different size slow cooker than the recipe calls for — you don’t want to under- or overfill it. * All ingredients need to be fully defrosted when added to the slow cooker. Using frozen ingredients, especially meat, can cause the food in the slow cooker to stay at an unsafe temperature for too long, which can lead to foodborne illness. * Trim any fat on your meat before adding it to the slow cooker. This will prevent the final dish from tasting overly greasy. If you have time, brown your meat or sauté your vegetables before adding them to the slow cooker for added flavor. * Fit the lid tightly on the slow cooker and try not to open it while it’s cooking — allowing heat to escape will only extend the cooking time. * Layer carefully. Ingredients at the bottom of the slow cooker tend to cook faster. To prevent your meat from overcooking, it’s best to place vegetables at the bottom of the pot, below the meat. 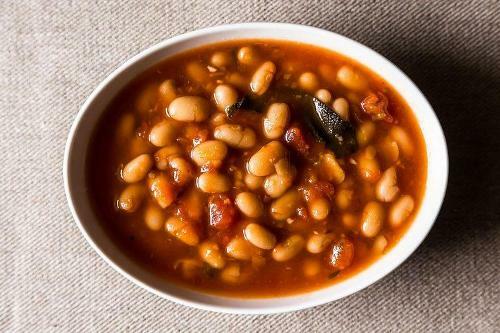 * Cooking beans in a slow cooker eliminates the need for an overnight soak. * Over at Smitten Kitchen, Deb Perelman simplifies the process of making chicken stock by dumping all of her ingredients into the slow cooker, walking away, and letting it cook on low heat for 8 to 10 hours. * Cooking steel cut oats overnight will make you forget your early morning cold cereal routine. 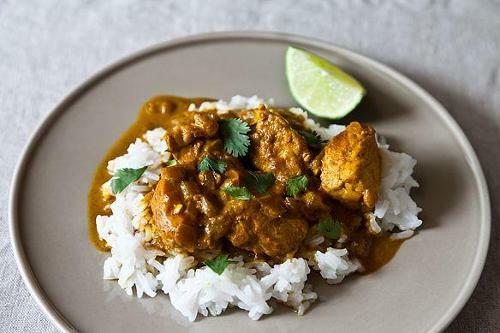 * Don’t overfill your slow cooker. Be sure to take note of the size of the pot that your recipe asks for, and make a smaller batch if it’s too big for your slow cooker. * Chop all of your ingredients evenly to ensure uniform cooking. * Halve the amount of liquid asked for in the recipe, since less liquid evaporates from a slow cooker than from a pot. 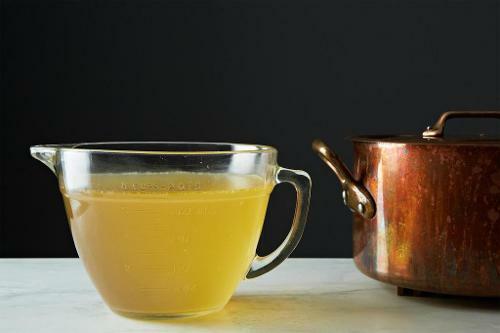 If the recipe doesn’t call for any liquid, add about a 1/2 cup of liquid or broth to your adapted recipe. * Hold any fresh herbs, dairy, quick cooking vegetables, pasta, rice, or seafood on the side and add them to the pot in the last 30 minutes of cooking.